As new Oil and Gas Operator, currently we are in the preparation of FEED phase in developing their new offshore facility. A well-structured WBS is need to be prepared before it deliver to the FEED Contractor as a basis of their deliverables. The objective is to select optimum WBS that could facilitate the future Offshore Gas Development Project. Built on non-standard WBS that potentially will have a problem during the execution since it will required number of mapping process in its implementation. 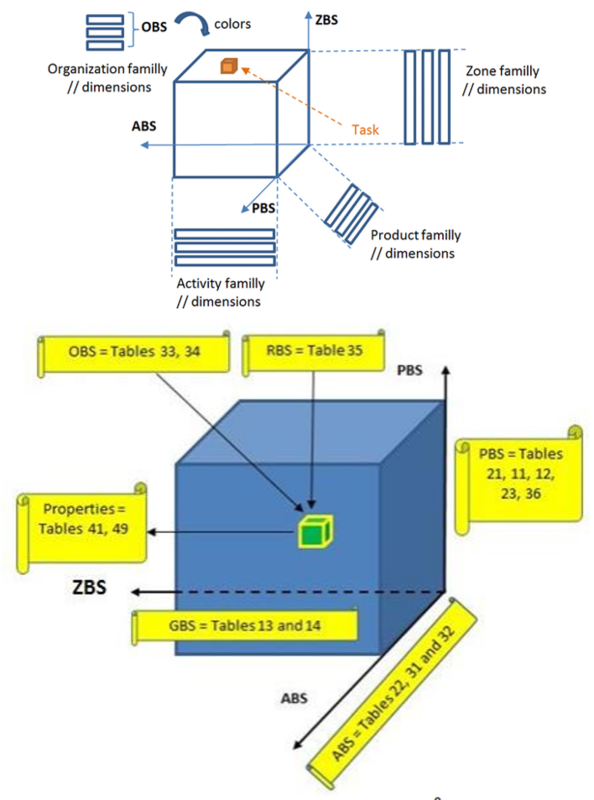 OmniClass is use faceted classification, where several tables that describe objects in the Built Environment from various points of view. Each table can be used separately to compose a particular subject or combined with other tables to construct a more complex subject. .
Hierarchical structure which defines the physical/functional components of oil and gas facilities/projects during any development. Defines all resources necessary for the planning and execution of an oil and gas project/facility. 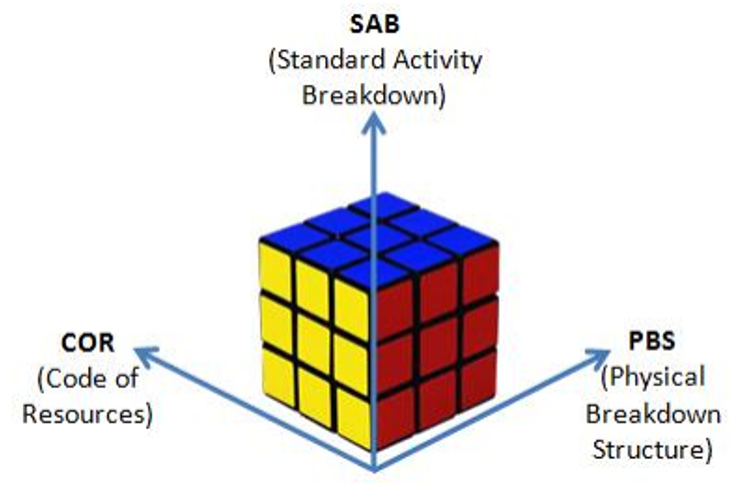 Identifies the individual records/items/lines/components/elements of estimates which when summarized comprise physical functional areas (PBS) and which occur during the different development phases (SAB). Physic-functional areas, functional zones or topographical locations. In EPC (Engineering, Procurement, and Construction) project, ZBS is group of functional system for the design and the commissioning phases. For construction phase, ZBS is geographical area. Generally PBS is equipment, material, deliverables, civil works components; and functional systems at the higher levels of the tree. An activity is an action, in process point of view. 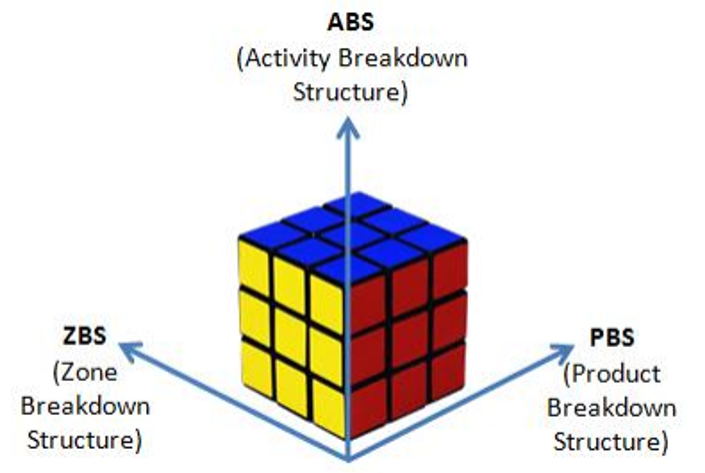 Activities are deployed on products. It is the processes that build products. For example: studies, design, purchase, construction and installation. Lexicography, one of non-compensatory models for multi attributes decision making technique, has been chosen to compare and analyze the alternatives. Considering the above ranking, the Norsok-Z014 is typically the solution for the Offshore project, current WBS need to be adjusted to accommodate the standard. However when further goal is gain the standardization and optimization, then by refer to the second highest rank combination between 3D WBS and Norsok-Z014 will give a greater advantage for the Offshore Project. 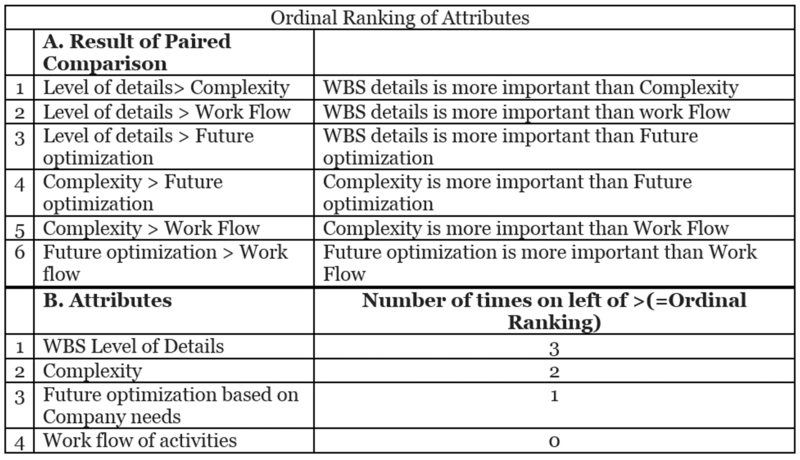 Periodically, consistency of utilizing designed WBS need to be review. Also further development is required to accommodate future needs and future information related to the new technology. Sullivan, W. G., Wicks, E. M., & Koelling, C. P. (2012). Cost-estimation techniques. In Engineering economy(15th ed., p. 101). Harlow, England: Pearson. AWESOME, Pak Rikky!!! Really great case study and your analysis was spot on, including some really great references!! Keep up the good work and hoping to see more blog postings like this in the coming weeks!! I would love to see an analysis of this class schedule against the GAO’s Best Practices in Scheduling, Appendix i and Appendix III. That will not only help you achieve your objective pass one or more of the AACE exams but it will also help you analyze your own in house schedules.